Malinda R. Linkhorst, Esquire | Linkhorst & Hockin, P.A. Malinda R. Linkhorst, Esquire, is a senior attorney in the firm of Linkhorst & Hockin, P.A. Mrs. Linkhorst graduated from the State University of New York at Albany in 1992 and obtained a Juris Doctorate degree from Nova Southeastern University in 1995. She is admitted to practice before all state courts in Florida. While in law school, Mrs. Linkhorst was an active member of the Moot Court Society. 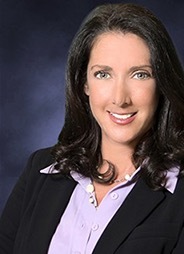 Prior to her employment with Linkhorst & Hockin, P.A., Mrs. Linkhorst was a criminal defense attorney with the Office of the Public Defender in Broward County, Florida and has extensive litigation experience.